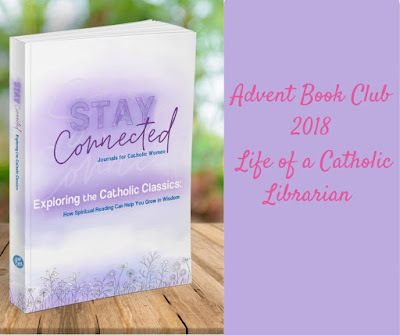 Welcome back to week 2 of our book club for this Advent, reflecting along with the saints in Exploring the Catholic Classics! :) Today we are scheduled to touch base with St. Teresa of Avila, and St Francis de Sales, so we will have a mix of high mystical wisdom offered to cloistered contemplatives, and practical spirituality for the layperson. :0 I love it! Our themes for the week, as you can see from the title, are prayer and interior silence. 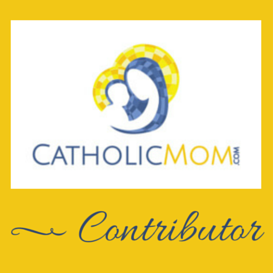 I 'm actually writing about this very topic for Catholic Mom this month, if you'd like a little more to dig into this Advent! I'll post the link as soon as it's up early next week. :) All right, let's get started, shall we? Let us now return to our vocal prayer so that we may learn to pray in such a way that, without our understanding how, God may give us everything at once: if we do this, as I have said, we shall pray as we ought. As you know, the first things must be examination of conscience, confession of sin and the signing of yourself with the Cross. Then, daughter, as you are alone, you must look for a companion--and who could be a better Companion than the very Master Who taught you the prayer that you are about to say? Imagine that this Lord himself is at your side and see how lovingly and how humbly he is teaching you...He will help you in all your trials and you will have him everywhere. Do you think it is a small thing to have such a Friend as that beside you? To Reflect: In what ways can we create a domestic monastery for ourselves in our prayer lives and in our homes? St. Teresa's life in the convent was certainly different than our own life experiences, and she did not have laypeople in mind when she wrote her work! However, I think that, in our own way, we can all cultivate a little "domestic monastery" for ourselves within our homes, and within our hearts. I like to have little nooks around my house where I have holy reminders that make a nice focal point for prayer. Small pictures and statutes of our Lord, Blessed Mother and the saints make perfect fodder. I'll leave rosary beads in each room for easy access if the mood strikes. ;-) Inspiring things to look at help to inspire us to pray, no doubt about it. And during Advent, as we try to cultivate that peace and silence within ourselves, inspiration to pray is the perfect way to keep this cycle going. Even amidst noisy chaos, we can harbor quiet joy within. Thinking of that special night, the feelings that Mary and Joseph must have been experiencing, the expectant excitement mingled with fear of the unknown...I like to take time to dwell on those things, and they help to keep my inner being at peace. Thinking of our Lord right beside us as we contemplate these things, as we pray and ask for protection over our loved ones...the quiet intimacy that St. Teresa lays out here is absolutely perfect for the season of Advent. After finishing your mental prayer, watch against disturbing the inner peace it bestows. If possible, keep silence for a while and quietly transfer your heart from prayer to other duties. Should you meet someone on the way home, or even at the church door, with whom you must converse, do so, of course, but still try to preserve your tranquility. You must learn how to go from prayer to duties brought on by your vocation and state of life...Since both prayer and the duties of your state in life are both in conformity with God's will, you must pass from one to the other with a devout and quiet mind. To Reflect: What is a practical way to start our days with prayer as St. Francis suggests? In what ways can we carry the resulting sense of interior peace throughout an entire day? And then we come to our practical guy, St. Francis de Sales. ;-) He is a favorite of mine, for sure! He talks further about bridging that gap between our mental prayer and busy states in life. I love how he emphasizes that both things (prayer AND your daily responsibilities as a lay person) are God's will for your life, and there is no need to fear that we are failing in some way as a good, holy person if our minds and time are so often taken up with changing diapers or the expense reports that you need to complete by the end of the fiscal year. These are things that need our attention, and there is nothing wrong with that. We can just do our best to keep our minds quiet; when we have a free moment, offer your day and it's challenges up to God, and wing up a prayer for continued peace and tranquility. During Advent, this is more important than ever! I really like your ideas about cultivating a "domestic monastery" in our homes. In the past, I've seen lots of pictures online of people setting up home altars with little statues, pictures, rosaries, prayer cards, books, etc. That's always seemed like a nice idea to me -- and seems to go along with the excerpt from St. Teresa. I'm not really in a position to make my own home altar right now, but I do love to look at examples of what other people come up with! What you said about leaving rosary beads around also goes well with the St. Francis de Sales excerpt. Being surrounded with prayerful objects and tools can make all the difference in keeping that interior peace and devotion. It's definitely something I could work on during this Advent season. “My intentions are much better than my actual production” — I’m gonna steal that line. Sums up my life quite nicely, haha.